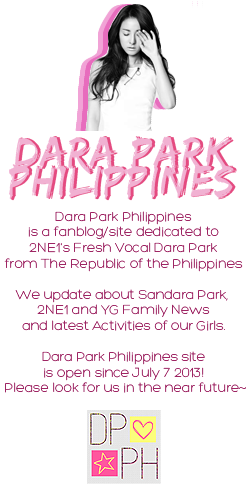 [FEATURE] Naver Starcast: [Dara’s Journal for 2NE1 World Tour Preparation 3] Revealing The Secret of the Shooting for All Or Nothing “The Journey”! I heard that there was no one who did not watch this teaser!! But, just in case for the ones who did not watch and for countless reviews, we will proceed after playing the video once more~! Wow~~ Isn’t the video so cool?! Everyone who has already noticed will know about it but this “THE JOURNEY” was filmed using chromatography technique. The fact is that it is used a lot in dramas, movies and advertisements these days+_+ I will show what chromatography technique is in an very easy way through a pretty picture of Bom!! 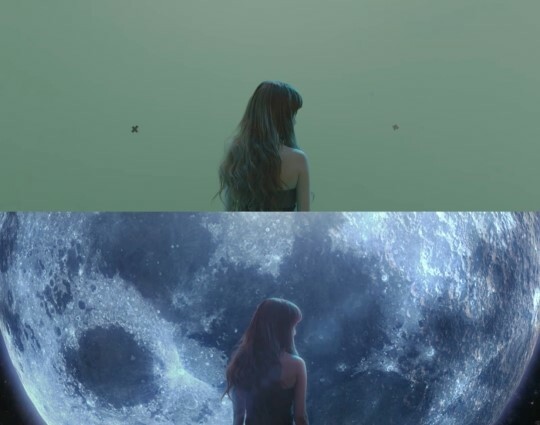 The one who is in the paused scene of the video is Bom, who is standing in a pretty way with a beautiful moon as the background. Isn’t her beautiful looks of the back and a beautiful background so awesome?? Then, should we compare the original picture and the picture after applying computer graphics!! Ta da!!! The truth is, we get to film in a neat background where it is possible to use chromatography technique just like the image above! After filming the video with all our efforts!! It comes out like the image below ^.^ Such a cool teaser resulted from the detailed expressions of emotions from the members and everybody’s detailed efforts and this is happy, happy captain San. Even when she tied her hair both ways in an adorable way, wow, there is still charisma! Power! It was Bom’s tears that was shining like a jewelㅜ.ㅜ For people who got it right, we reveal the original picture that was used in the poster as a gift!! So we will reveal it through the pictures!! Go!! It is a mystic eye make-up that gives the feeling of as if it came from outer space, right? 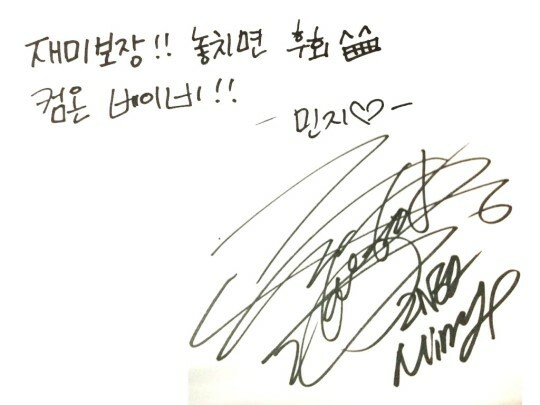 +The autograph that is revealed this week is from Minzy~! The news is that we are already excited when we think about meeting with you guys at the concert site!!! I will see you guys next week in STARCAST also. Then, I will say bye from here~!